Comfortable sea side sitting in these solid wood chairs (also called Muskoka chairs). Wood is specially treated for the outdoors. 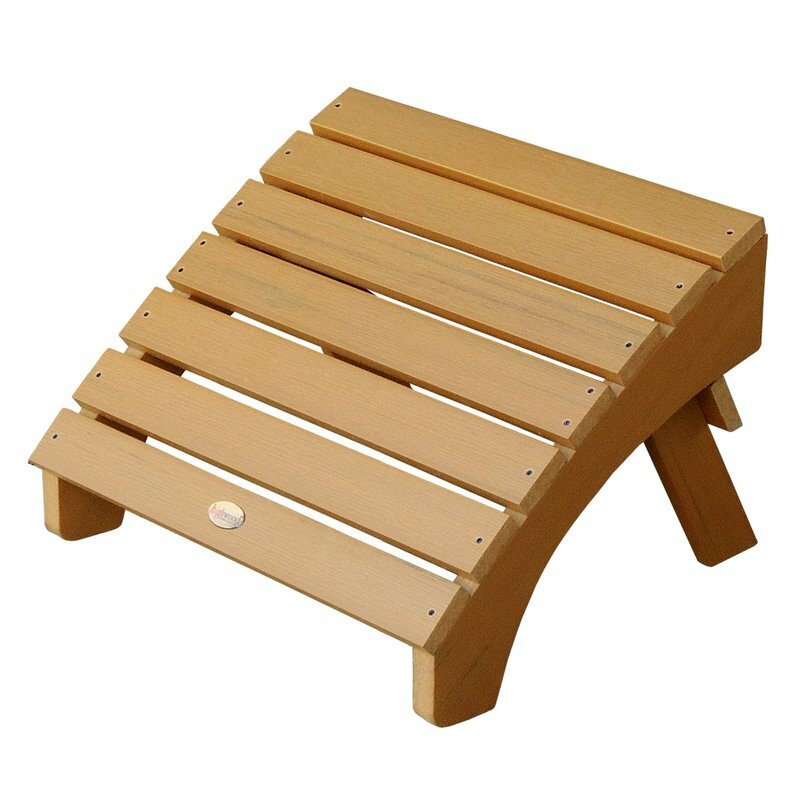 Super comfortable seaside or patio/terrace sitting with style. 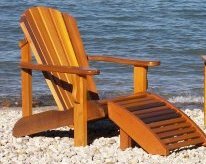 Our Adirondack (also called Muskoka) chairs are a great addition to your coastal Mexican villa or beach cottage retreat. The wood is durable and specially treated for the outdoors. 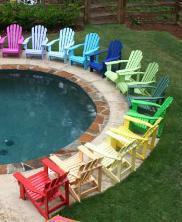 Chairs also available in our variety of bright Cottage Series color upgrade finishes.